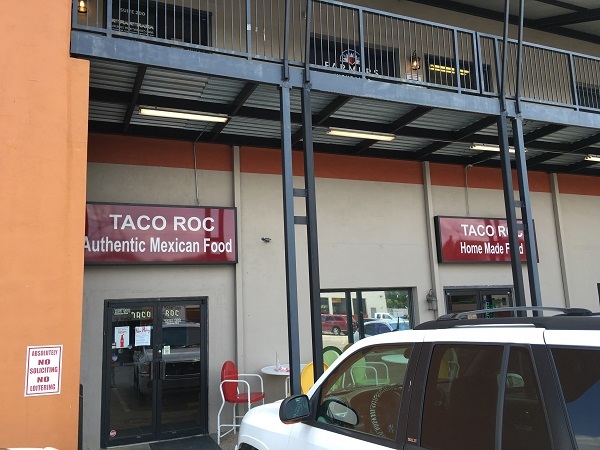 Taco Roc, Chattanooga TN (take two) – Marie, Let's Eat! 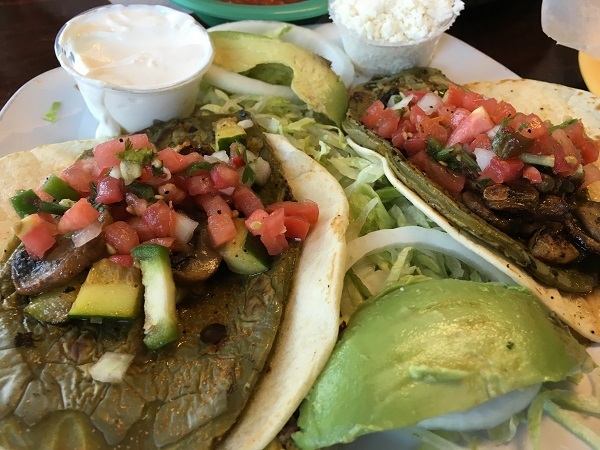 If you enjoy tacos as much as I do, then Chattanooga has some terrific options. This place on Lee Highway is really popular, especially at lunch time, for some traditional Mexican tacos and tasty homemade salsa. 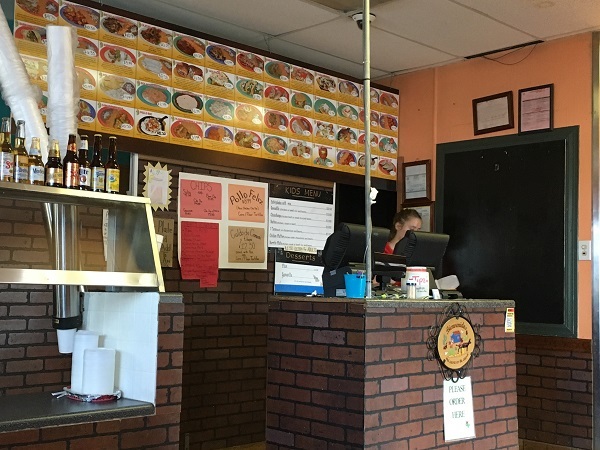 Even before we finalized plans to move to Chattanooga, I had thought about coming back to Taco Roc, which I visited with friends five years ago. 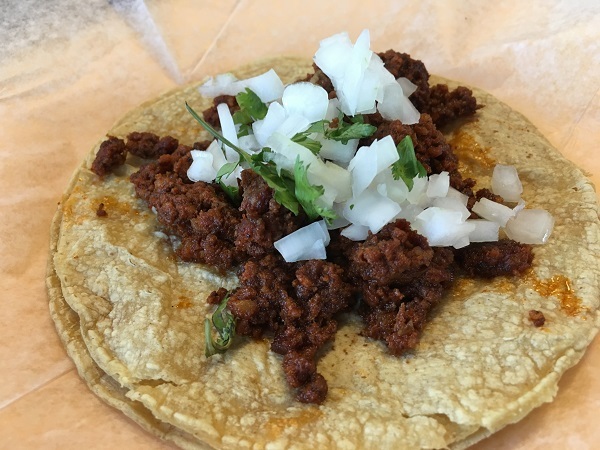 I have soft spots in my heart for all kinds of varieties of Mexican food, but popping by a low-priced little taqueria to get some good, authentic tacos is a real pleasure. However, guests should plan accordingly, because this place is insanely popular at lunch time with a very long line, and the staff quickly gets overwhelmed cleaning and turning over tables. But people wait for a reason: they make really, really good meals here, with very tasty, freshly-prepared food and some completely delicious chorizo. Plus, they have a neat secret weapon that you don’t often see on menus. Order a couple of cactus tacos here. These are fantastic. Cactus is really juicy and interesting. I like it a lot, but I haven’t quite found the right salsa to go with it. 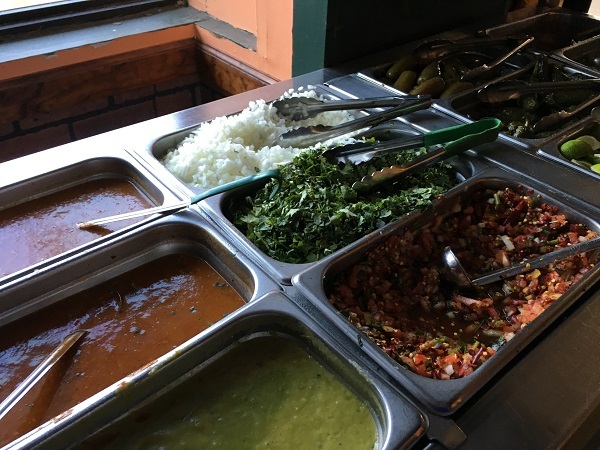 Taco Roc has a very, very good salsa bar, but after a little experimentation, I decided that the cactus was just fine with the vegetables that the kitchen prepares with it. One of these days, my son will agree to try something from the salsa bar. He just wanted a plain burrito with cheese, and they make pretty simple and inexpensive ones here for any kids in your party. Parking can be a little tricky, however. There’s a very small lot for this two-story strip mall. Most of the businesses here aren’t high-volume retail, but only real overflow is the lot for the grocery store across the street. When my son and I visited, we got the last available spot, so don’t plan to meet friends here for lunch. Get together ahead of time and drive here in just one car! Posted on August 22, 2016 by Grant G.Posted in chattanooga, mexican, tennesseeTagged chattanooga, mexican, mexican - traditional, tennessee. I eat here every other month or so but I’ve never had the cactus. I’ll try that next time! We hope that you enjoy it! I wouldn’t have it every day, but it’s a great occasional treat. You seem to be enjoying Chattanooga! I’m enjoying reading about the restaurants that you have found here. Taco Roc is certainly a big favorite in town. I love their chicken. I don’t know what they cook it in but it tastes divine with onions, cilantro and pico de gallo! Thanks for writing, Sue! I had lunch at Taco Roc again just yesterday, in fact. I agree, their chicken is terrific.